The 28th Annual Valentine’s Day Mountaintop Matrimony ceremony and reception is a Loveland tradition where new couples are joined in matrimony and married couples renew their vows in a mass wedding at The Ptarmigan Roost Cabin, elevation 12,050 feet, located at the top of the Ptarmigan Lift. 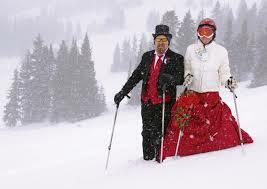 The Honeymooner’s Apres Party for all participants and their guests follows the ceremony at the Loveland Basin featuring music, wedding cake, spirits and even a best dressed contest. Participating couples must preregister online in order to receive the Marry Me Ski for Free 2-for-1 lift ticket special. 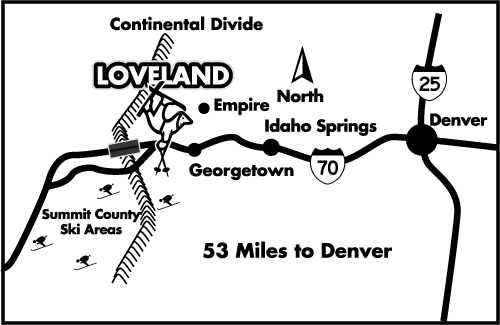 We are excited to announce that Ski Hooky Days with 95.7 FM The Party and Oskar Blues Brewing are returning to Loveland this season! Listen to 95.7 FM The Party for your chance to win free tickets to Loveland and be sure to sign up for Party VIP so you can join us for Hooky Day on Thursday, February 14 featuring $25 tickets! 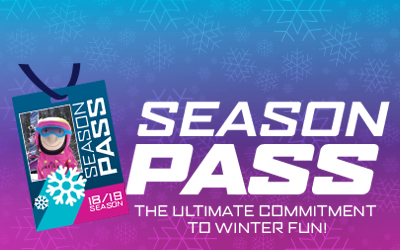 Simply sign up for Party VIP, print your coupon good for a $25 ticket valid on Thursday, February 14 only, and join us for a great day on the slopes! Can’t make it on Thursday? 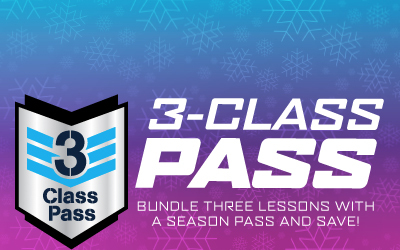 The coupon also includes a buy one lift ticket get one free valid for two weeks after Hooky Day! Don’t want to drive? Experience the ultimate Hooky Day and hop on the Brewski Bus with Oskar Blues. All the fun, none of the driving! More information coming soon! Handcrafted by snowboarders like you in Silverton, Colorado, Venture offers high performance, premium quality snowboards and splitboards. 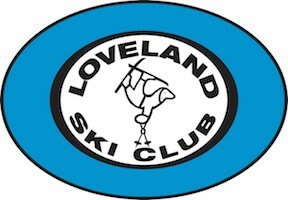 Come take their latest, greatest decks out for a test drive on February 16 and 17 at Loveland Ski Area! Demos are free, but you must be 18 or older and have a lift ticket, credit card and driver’s license handy. Join us as the Loveland Race Club hosts a free Family Race Day. The race will take place off the Ptarmigan Lift in Bennett’s Bowl from 10am – 2pm and will be open to skiers and snowboarders of all ages and abilities. Come out and race your friends and family for fun and bragging rights. The race is free and open to everyone. Just sign up the morning of on the Basin Patio or at the top of the course.